I can't start this post today without first sending out a massive, massive THANK YOU to everyone who've commented and gotten in touch on all forms of social media to say congratulations on my book deal. The response has absolutely exceeded my expectations and I've been overwhelmed by the love, enthusiasm, and confidence you all have in me. Thank you. Over the last few months, I've been working on the book full-time, putting all my energy, thoughts, energy, and even my dreams into the book (no, really - a solution to one of my design problems actually came to me in a dream!). But I know it's easy to get burned out in a project like this so I try very, very hard to Keep Weekends Sacred and not work on the book. But I still want to do a little bit of sewing here and there (not just sock loom knitting! 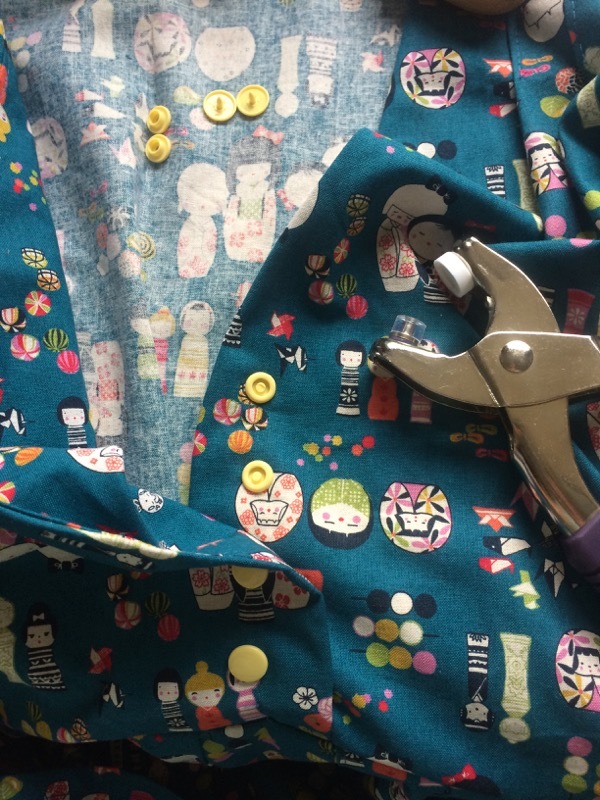 ), so I've been doing quick little weekend projects unrelated to the book that I can clear out of my sewing room in time for activewear sewing during the week. 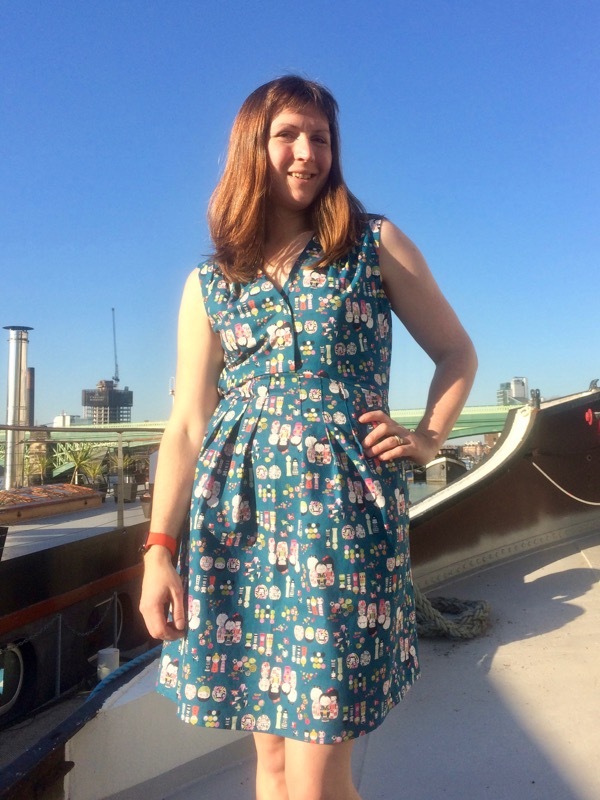 Last month's issue of Love Sewing magazine included McCalls 7381 free and I thought it looked like a nice little dress to make up over a weekend (if you're in the States, this pattern's on sale through the end of today, just fyi!). 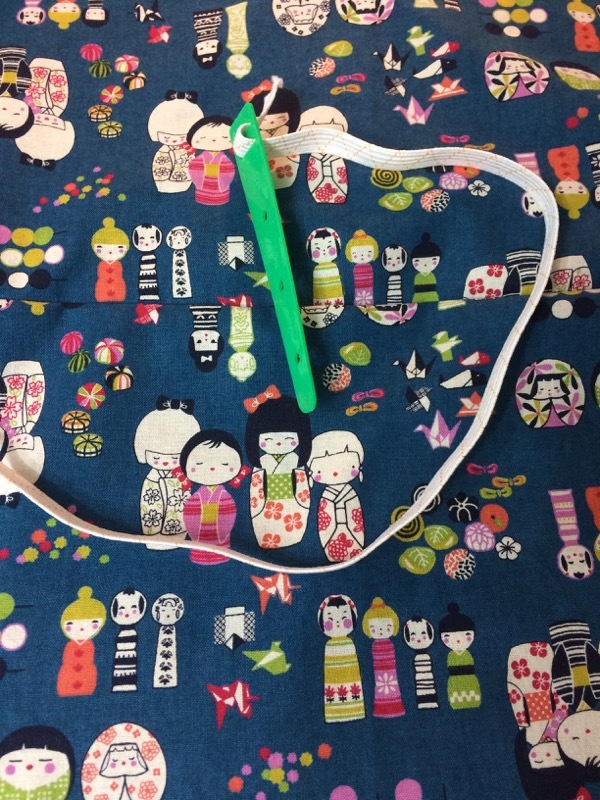 My stash is absolutely at capacity with fabrics for book samples, so I wanted to use up something I already had and found a Japanese print cotton that my friend Alex brought me back from Tomato in Tokyo last winter. 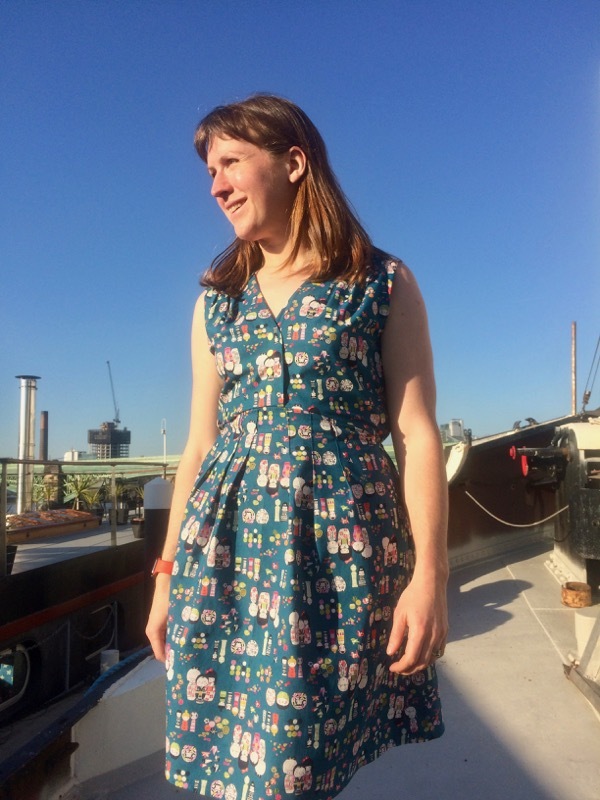 Ideally, the pattern should use something less structured and more flowy than a quilting cotton, but I don't tend to buy many fabrics like that, so I figured it'd be fine for a casual summer day dress. 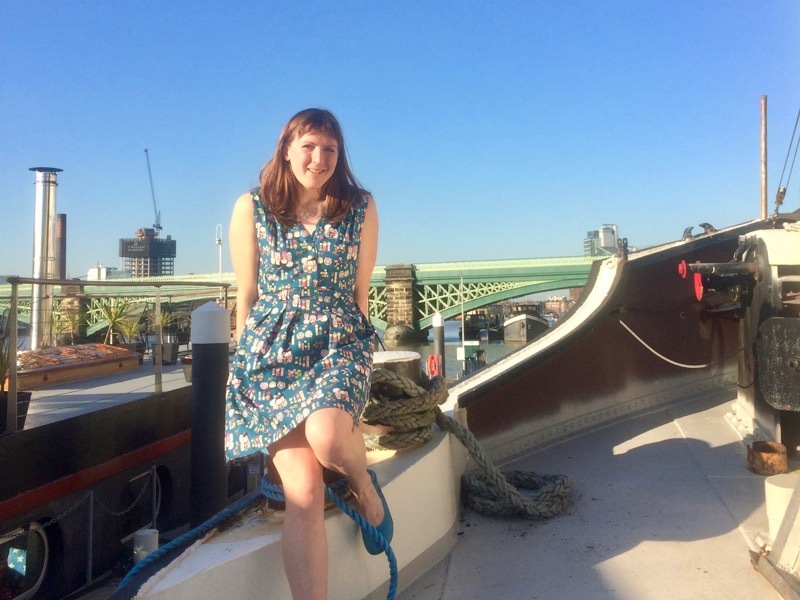 I can’t start this post today without first sending out a massive, massive THANK YOU to everyone who’ve commented and gotten in touch on all forms of social media to say congratulations on my book deal. The response has absolutely exceeded my expectations and I’ve been overwhelmed by the love, enthusiasm, and confidence you all have in me. Thank you. Over the last few months, I’ve been working on the book full-time, putting all my energy, thoughts, energy, and even my dreams into the book (no, really – a solution to one of my design problems actually came to me in a dream!). But I know it’s easy to get burned out in a project like this so I try very, very hard to Keep Weekends Sacred and not work on the book. But I still want to do a little bit of sewing here and there (not just sock loom knitting! ), so I’ve been doing quick little weekend projects unrelated to the book that I can clear out of my sewing room in time for activewear sewing during the week. 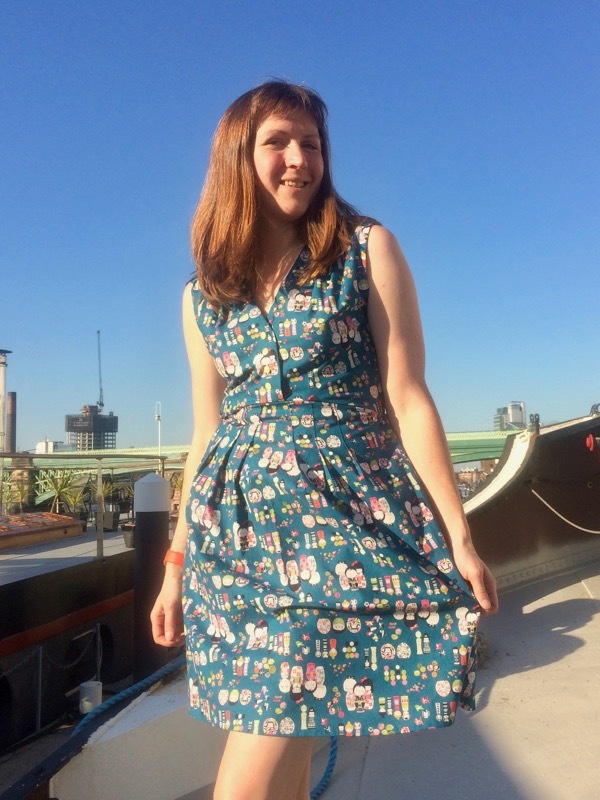 Last month’s issue of Love Sewing magazine included McCalls 7381 free and I thought it looked like a nice little dress to make up over a weekend (if you’re in the States, this pattern’s on sale through the end of today, just fyi!). 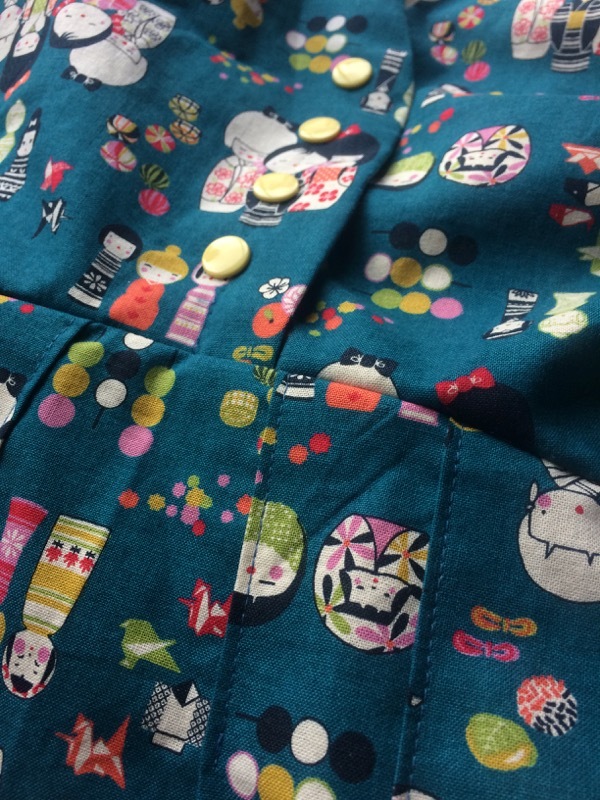 My stash is absolutely at capacity with fabrics for book samples, so I wanted to use up something I already had and found a Japanese print cotton that my friend Alex brought me back from Tomato in Tokyo last winter. 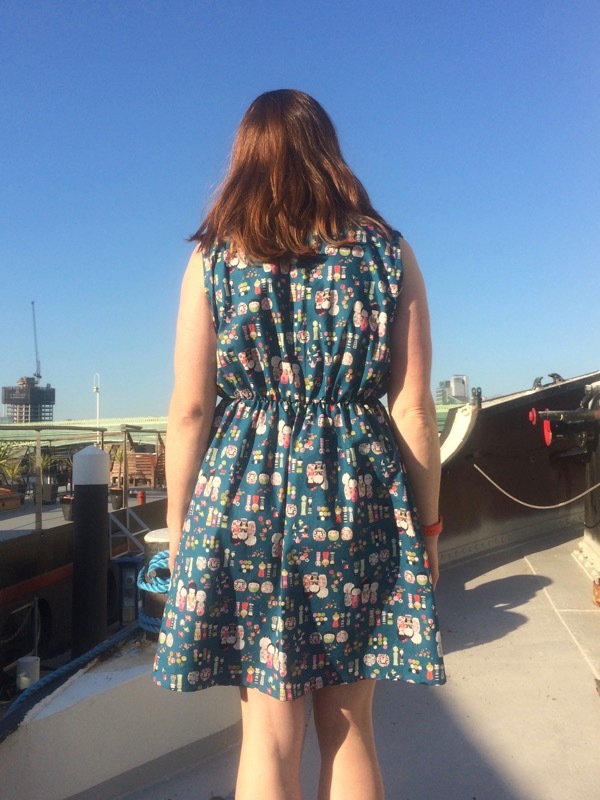 Ideally, the pattern should use something less structured and more flowy than a quilting cotton, but I don’t tend to buy many fabrics like that, so I figured it’d be fine for a casual summer day dress. 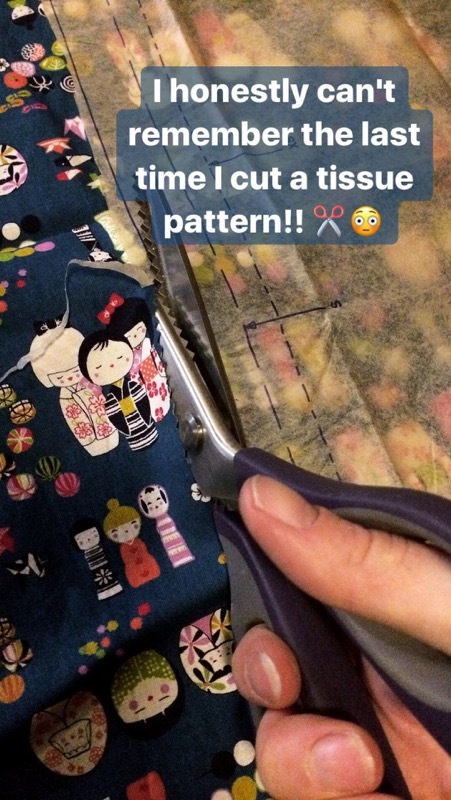 The weird thing is that, not only was I sewing a Big Four pattern (let’s face it, my even sewing Vogues is rare these days), but I actually cut into the pattern tissue!! I can’t even remember the last time I directly cut pattern tissue instead of tracing it! I mean, they’re like a tenner each usually, so it’s insanity to cut along a line then have no option to use another at some point in the future. But I didn’t foresee myself making this over and over, and besides it was free, just I just three caution to the wind and cut the sucka. Knowing Big Four pattern ease and that this dress was an over-the-head model, I opted to go down a size to Medium, and I’m glad I did. There is AMPLE ease in the Bust here, and to be honest, I probably could’ve gone down to a Small and just increased the back shoulder width and still had room. I mostly followed the pattern instructions, but because my Japanese fabric was narrow and limited, I was able to squeeze out a front facing from it, but then I opted to finish the neck and armhole edges with some homemade bias binding I’d made years ago and tucked away in my stash. 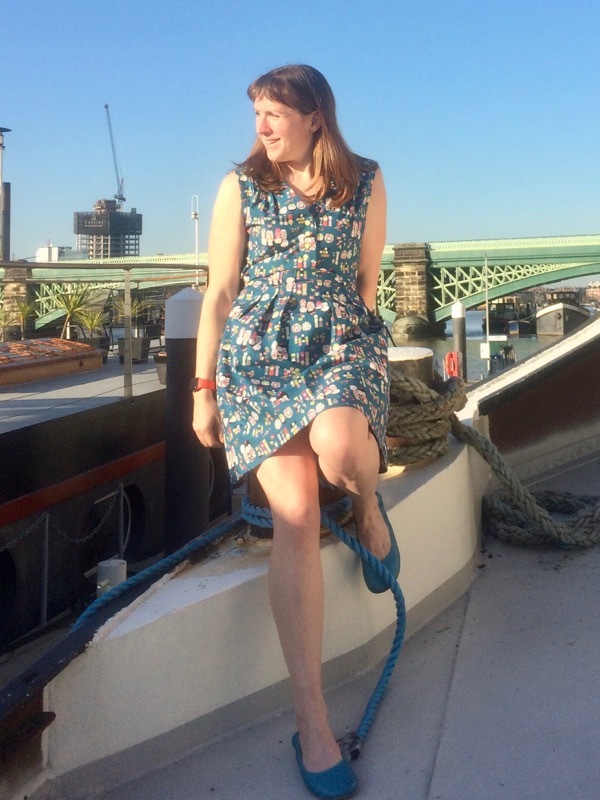 The pattern instructions call for a lining, but I didn’t have anything on hand that wouldn’t have been hot and sticky (negating the whole point of a summer day dress), so binding was the next best option. I also needed to shorten the suggested hem length by a tad to get it to fit into my fabric, but it’s still at a nice length for me IMHO. The dress has a surplice bodice with deep shoulder pleats attached to a pleated skirt at the waist. You get it on and off over your head, and the shaping is provided by elastic sewn into the waist seam allowance in the back only. I couldn’t be bothered to dig out the elastic length pattern piece (why oh why do the Big Four do this instead of just listing the measurements in the instructions??) so I just pinned a length in place, tried it on, then tightened it up again until I was happy with the fit. The bodice has a slight crossover, which is suggested to be fastened with invisible snaps sewn inside. In reality, the sizing is so big that I can get this on and off with the basting stitching still in place, but I thought it’d be nice to use Prym pale “banana yellow” snaps instead of invisible ones. This was my first time playing with the plastic snaps and omg, I’m a total convert. I’ve had horrible experience with metal ones before (I think I actually threw my Hemline snap pliers in the bin rather than charity shop, they were that bad) with a failure ratio well exceeding the successes, but these plastic ones are designed more like jeans rivets. One end is shaped like a tack, which you poke through the fabric, then place the “business end” on top. Instead of having to delicately balance the ends inside the plier bits (where they inevitably either fall out or get misaligned, ruining the whole thing), the plier bit for these is just a squishy bit of clear plastic, so when you squeeze it together, it distorts and smooshes the pointy bit of the tack inside, sealing it up. Honestly, it was really slick, and I didn’t have a single failure! A++. 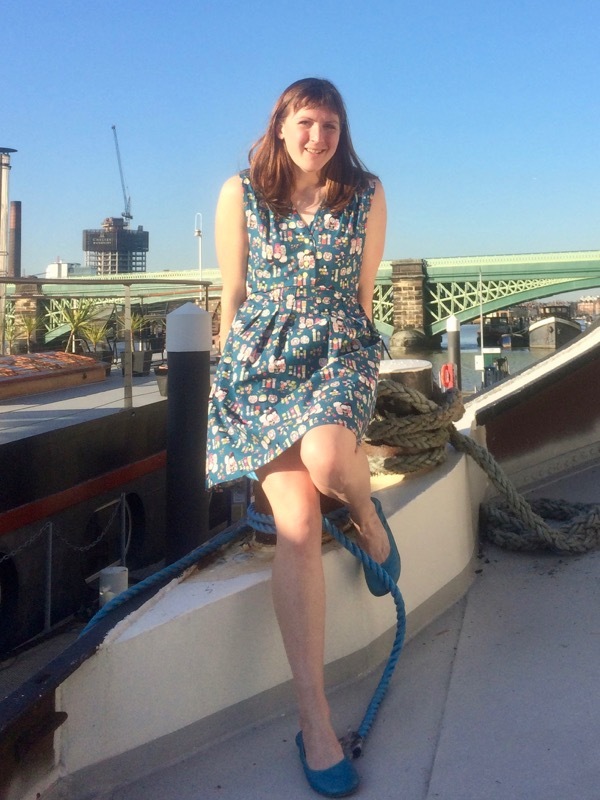 …and then suddenly gorgeous spring weather appeared to match the dress! I couldn’t pass up the beautiful weather so I just used my phone on a gorilla pod and the remote camera app on my AppleWatch (so slick!) to take these photos for you. 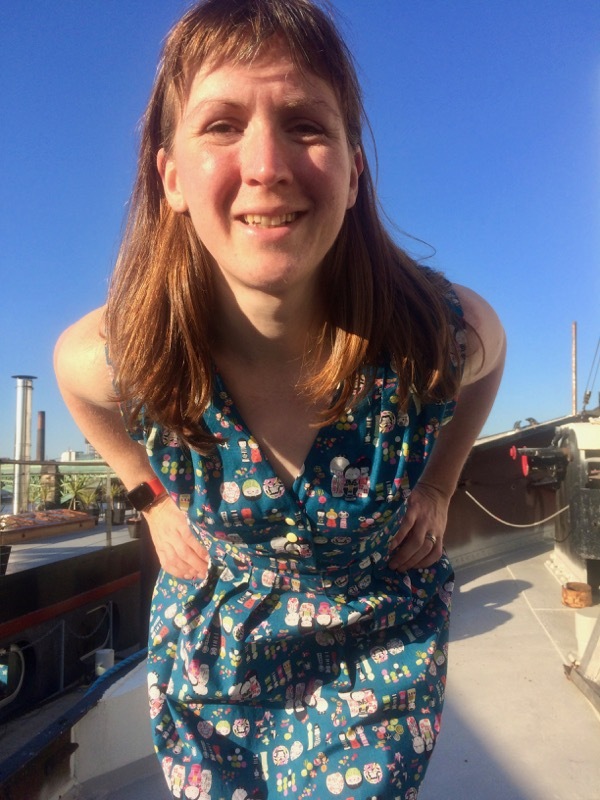 So the quality isn’t ask good as when I get James to take them on our DSLR, but you get the benefit of seeing blue skies, bare arms, and warm sunshine! 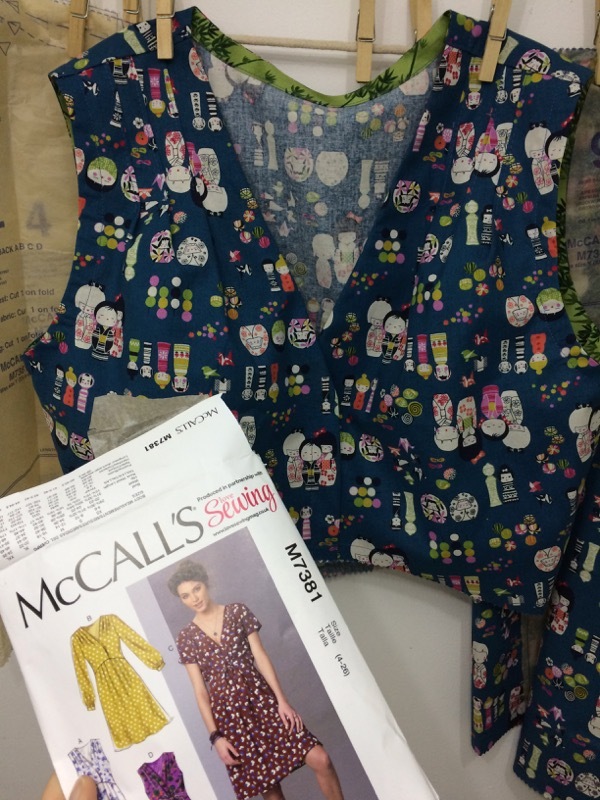 Separator image Posted in Gallery and tagged with cotton, dress, mccalls. What an awesome dress! It looks so comfy! That’s a really nice looking dress. I’m tempted too. The dress suits you – I’ve used crafting cotton for long skirts in the past and I have some that is destined to be the outside of a shoulder bag – but I’ve (something I seem to have become very good at recently) put the pattern in the safe place that’s so safe I can’t find it so that project’s on the back burner till I unearth the pattern. I think sometimes the guides for elastic lengths in patterns are a bit hokey anyway so measuring to your own fit is probably the best way to go. Well done on your first (?) 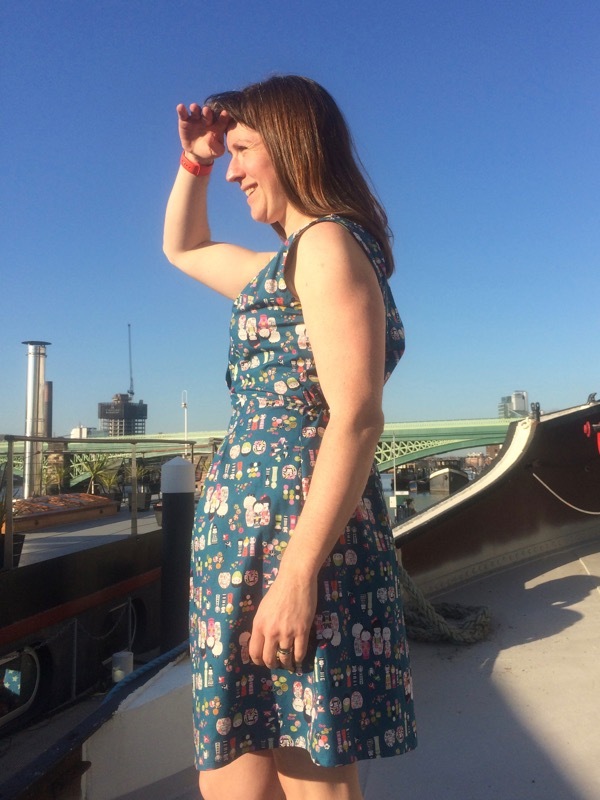 warmer weather frock of the year. Such a pretty fabric and a great day to wear it too! I haven’t tried plastic studs so i will look out for them. Cute dress and my preferred way of staying cool over shorts in the summer. I have a Kam snap press and love it. Always looking for ways and places to use them. The yellow snaps are perfect finishing touch for your very darling dress. I got a Kam snap press and was blown away…I too had (multiple) bad experiences with my Dritz metal snap press. I was constantly throwing away snaps…the plastic snaps are a dream!! You look gorgeous in this! And what a gorgeous London day to model it! I picked up the issue with this pattern too and am very tempted by it! Thanks for the snap review. I keep staring at them in the store, and since they are the last kind of snaps I haven’t bought, they call to me. Apparently, they are singing my tune. Novelty print cotton is all summer all year long. Welcome to summer. Cute dress. I usually wear cargos and tees in the summer, but I have been longing to wear frocks instead(even winter frocks). I am putting this pattern on my list for the next JoAnn’s sale. And I’ll be looking for those snaps too.